From January to September this year, the Federal Government generated a total amount of N6.93tn as revenue from oil and non-oil sources. 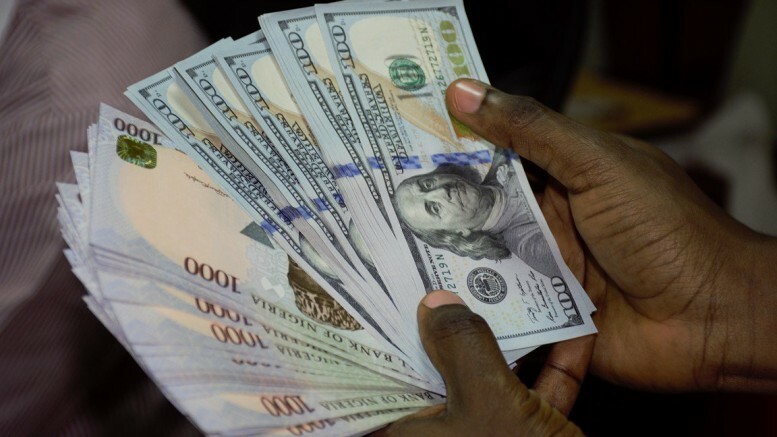 The N6.93tn revenue was arrived at based on the analysis of data obtained from the Central Bank of Nigeria. A breakdown of the revenue showed that the sum of N2.08tn was generated in the first quarter while the second and third quarters recorded N2.31tn and N2.52tn respectively. The amount generated in each of the quarter was far below the budgeted quarterly estimate of N3.32tn. When spread over a nine-month period, the budgeted quarterly estimate amounts to about N9.96tn. This implies that with the total actual revenue of N6.92tn, the government was unable to meet its revenue target which resulted in a revenue shortfall of N3.04tn during the nine-month period. Out of the actual revenue of N6.93tn, the sum of N4.08tn was earned from oil sources. This, according to the analysis of the data, is about 58.7 per cent of the total earnings of the country during the nine-month period. An analysis of oil revenue figure of N4.08tn revealed that Petroleum Profit Tax and royalties accounted for a huge chunk of oil revenue with a total contribution of N2.68tn. This is followed by other oil revenue with N1.08tn while crude oil and gas sales contributed the balance of N312bn. For non-oil revenue, a breakdown of the N2.85tn collections showed that the sum of N820.95bn was generated from Value Added Taxes, N1.08trn from Companies Income Taxes while N509.08bn came in from Customs and Excise duties. The balance of N433.36bn was generated from other non-oil revenue sources. Speaking on the revenue shortfall, some finance and economic experts said the budgetary spending of the government needed to be reduced in a manner that would reflect the rate of revenue inflow. The Director-General, Institute of Finance and Control of Nigeria, Mr Godwin Eohoi, said, “We have so much relied on oil revenue within the last 45 years and with the level of uncertainty in oil revenue, the time has come now for us to review our fiscal position. In his comment, the Head of Banking and Finance Department, Nasarawa State University, Dr. Uche Uwaleke, said there was a need for the National Assembly to come up with legislation to improve the level of coordination between fiscal and monetary policy authorities. He said the law would enable both authorities to effectively come up with the right policy mix in addressing the fiscal challenges facing the economy. He argued that the failure to properly coordinate both fiscal and monetary policies was having negative influences on the economy through deficit financing. He added that a weak policy stance on one area could burden the other area and would make the economy to suffer in the long run. He said, “The need for policy coordination arises in the cast of structural reforms and liberalisation of the financial sector. “Such reforms can only proceed within the framework of a supportive fiscal policy that provides macroeconomic stability, fiscal discipline and avoidance of taxes that discriminate against the financial activity. “The constitution empowers the legislature with three basic functions of representation, lawmaking and oversight. The Minister of Finance, Mrs Zainab Ahmed, had said the decline in revenue had made it imperative for state governments to reduce unnecessary overhead costs in order to enthrone fiscal discipline. She said the move was vital in order to increase the Internally Generated Revenue of states so as to efficiently maximise the scarce resources needed to stimulate the economy. Ahmed, who spoke at a conference with the theme: ‘Unlocking the potential of the non-oil sector as a sustainable source of government revenue’, maintained that states should look inwards to harness various avenues for revenue. She said, “It is on record that due to persistent domestic fall in oil revenue over the past years, it became extremely difficult, if not impossible for us to meet duly budgeted obligations. “This happened because of the age-long over-reliance on oil, even though Nigeria is abundantly endowed with multiple resources, which provide varied sources of revenue. “There is stupendous potential for diversification of revenue. We can reflect soberly on our national endowments and make conscious efforts to exploit and manage them effectively. Ahmed said the Federal Government would continue to ensure that all federation revenues were accounted for in the most transparent manner and managed efficiently. She said, “Let me acknowledge and commend the wisdom behind the development of the new revenue reporting template that was engineered by the Commissioners for Finance. “It is imperative to mention that its implementation will be one of the key reforms in revenue remittances into the federation account. She further urged state governments to develop various sectors in their states to consolidate on the revenue allocation they receive from the federation account. 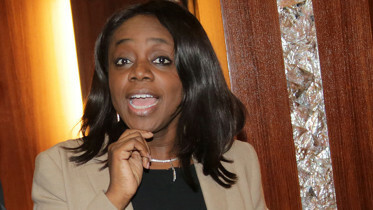 Be the first to comment on "Govt Records N3tn Revenue Shortfall in Nine Months"